Who doesn’t absolutely love a good ghost story? Who doesn’t enjoy wondering if there’s more to the world around us than meets the eye? Spine-tingling tales of ghosts, haunted places, and unexplained phenomena are a beloved part of our lives from the time we’re children. They’re a part of American history and cultural tradition. Haunted history books and regional interest literature on the paranormal can show you how. America’s seen its share of catastrophic events, social upheaval, and unusual circumstances. Show us a place that’s been the site of one historic event or another, and we’ll show you a place that’s got a reputation for being haunted. The right haunted American history books are a wonderful way to explore all of our country’s true life ghost stories in spine-tingling detail. Enjoy chilling, fascinating tales of battleground hauntings involving deceased Civil War soldiers. Explore the historically haunted legacies of hundreds of U.S. cities, including but not limited to Birmingham, Reno, Chicago, Chattanooga, and Memphis. Get to know haunted theaters, mansions, hotels, fishing docks, and more. Your next favorite historic ghost story is never more than a page turn away. No foray into the depths of American haunted history is complete until you’ve explored the impressive local interest catalog of Arcadia Publishing. Arcadia boasts one of the country’s largest and most comprehensive collections of paranormal and haunted history books available anywhere. Discover the haunted legacies of your own hometown and favorite vacation spots. Put together a bucket list of haunted locations you’d like to visit before you die. 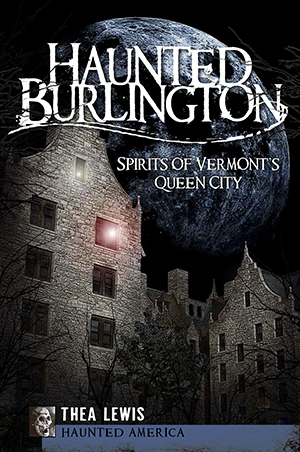 Enjoy a detailed introduction to each of America’s most haunted locations, cities, buildings, and regions. With Arcadia Publishing in your corner, the only limits on what you can learn are the ones set by your own curiosity.